MedSpa in Port St. Lucie, Florida announces attractive benefits to laser hair removal process in Port St. Lucie, including saving a huge amount of money. Port St. Lucie, Florida- Premier Port St. Lucie MedSpa and cosmetic center, New Radiance have announced they have the latest and most advanced technology when it comes to laser hair removal devices. 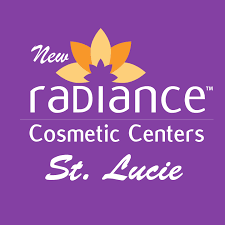 Laser Hair Removal in Port St. Lucie is gaining popularity says, New Radiance Cosmetic Center, the area’s top destination for patients wanting to rid themselves of unwanted hair. New Radiance is using the most advanced technology on the market to annihilate unwanted hair. According to New Radiance, laser hair removal treatments are gaining popularity, lately, especially in the South Florida area. With the increase in demand for cosmetic treatments such as laser hair removal, there is also an increase available laser machines being manufactured including bootleg and non-FDA approved laser devices. Right now there are many machines on the market all ranging in price, and efficacy. New Radiance Medspa says the Port St. Lucie business has, the gold standard when it comes to cosmetic laser technology and they assure, their laser devices are FDA approved. Inside the Port St. Lucie Medspa located 318 NW Bethany Drive, folks will find multiple advanced laser devices to treat many concerns such as Coolsculpting in Port St. Lucie, Botox and different varieties of fillers. This month, the popular laser and aesthetic center is showcasing their incredible laser hair removal machines. The advanced laser devices use certain wavelengths to target the hair’s melanin by heating up the hair follicle and destroying it, all while keeping the skin around the hair unaffected. When the unwanted hair has been targeted by the laser, it is then absorbed by the body and broken down in the body. According to New Radiance, the treatments are super quick and easy, actually, much easier than most folks expect during their consultation. New Radiance explains, “the type of laser hair removal devices we are using are so advanced it is almost painless and the entire treatment is over before you know it! Some areas are more sensitive than others like, for example, Brazilians or certain spots on the legs, however, we provide cooling and extra care when it comes to these ultra sensitive areas. After the areas have been treated any discomfort which occurred during the laser process will subside immediately. What’s left is slightly pink skin which may resemble a light sunburn for the next 30-60 minutes.” New Radiance Port St. Lucie says once the sensitivity goes away, their patients are able to go about their regular activities including going to the pool, as long as they aren’t exposing that area to the sun or getting a spray tan.